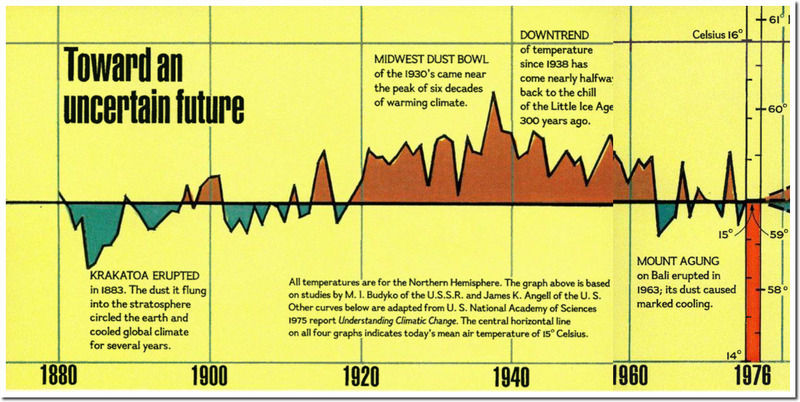 In the November 1976 issue of National Geographic, they showed a Little Ice Age followed by a sharp warming spike to 1940, and then cooling back to 1880 levels. 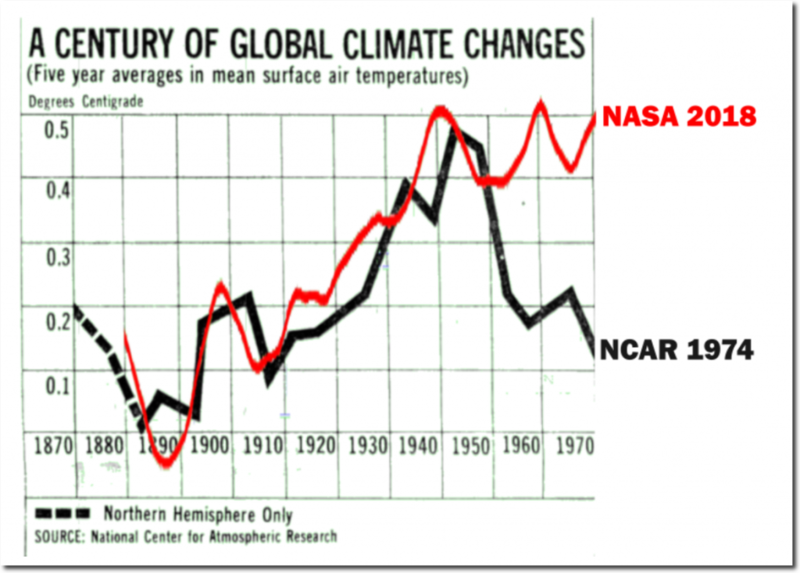 This cooling back to 1880 levels was also shown by NCAR, and the National Academy of Sciences. 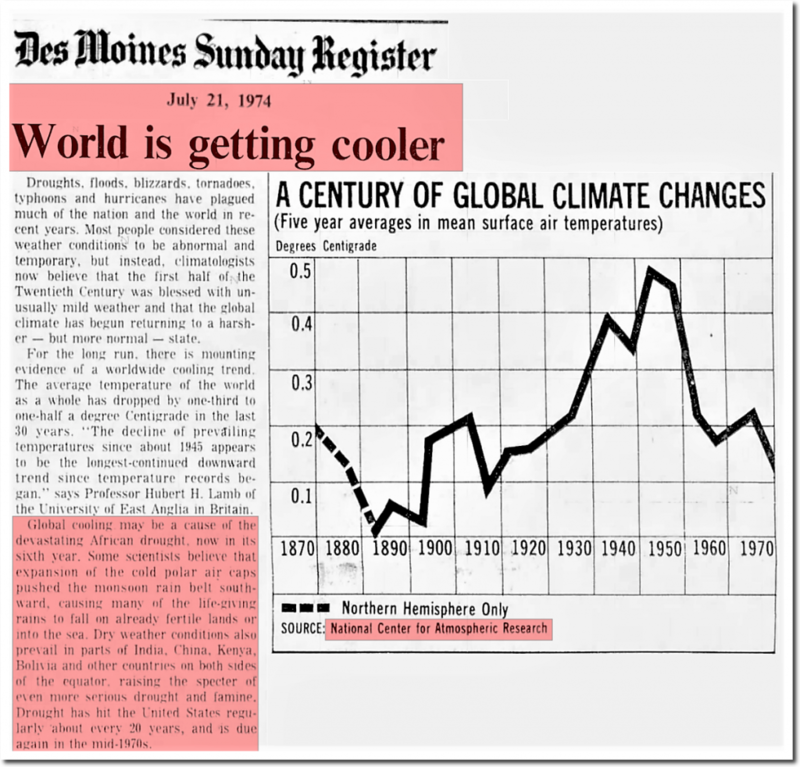 The warmth of the 1930s/40s and subsequent cooling was well documented. 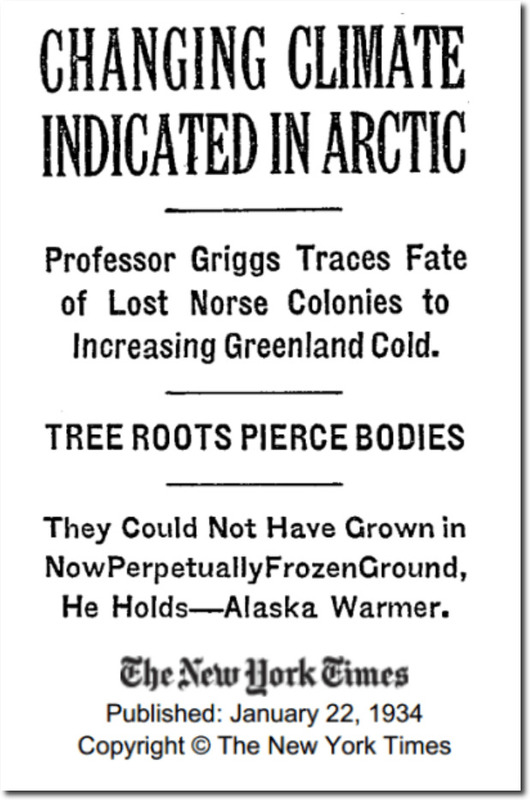 This warmth of the 1930s and 1940s, turned rapidly into cooling and fears of a new ice age. 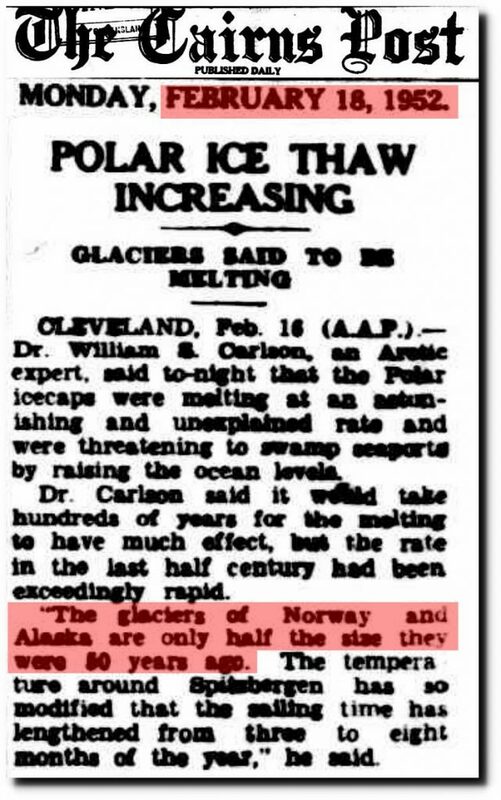 The post-1940 cooling ruined the global warming story, so NASA and other climate scientists erased it. 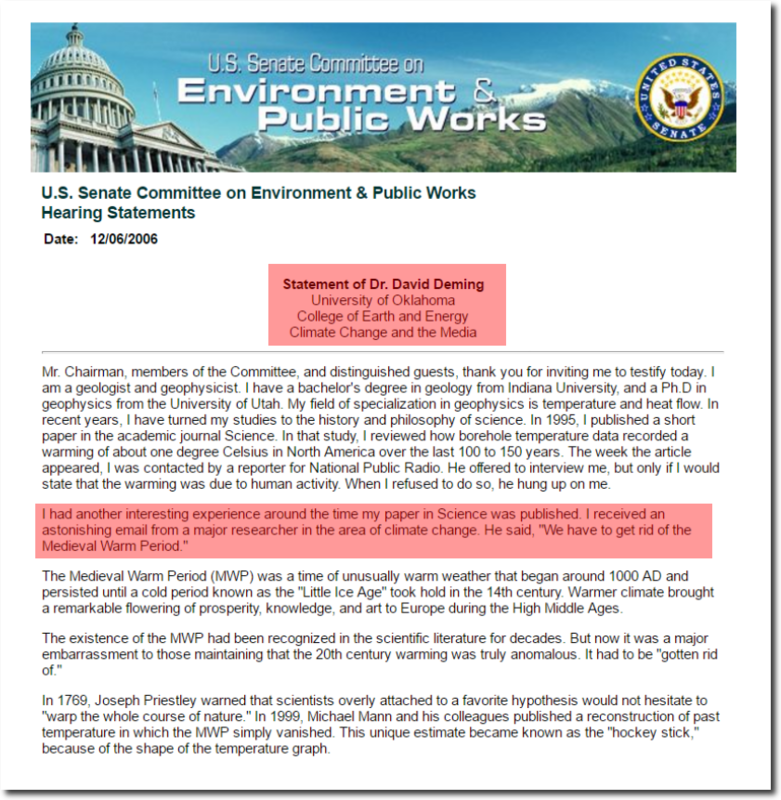 This strategy of hiding the warm past was openly discussed in Climategate E-mails. But that was just the beginning. 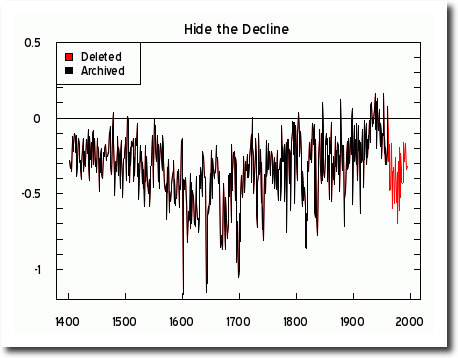 The removal of the post 1940’s cooling, paved the way for “Mikes nature trick” to “hide the decline“ in the proxy data – and erasure of the Medieval Warm Period and Little Ice Age. 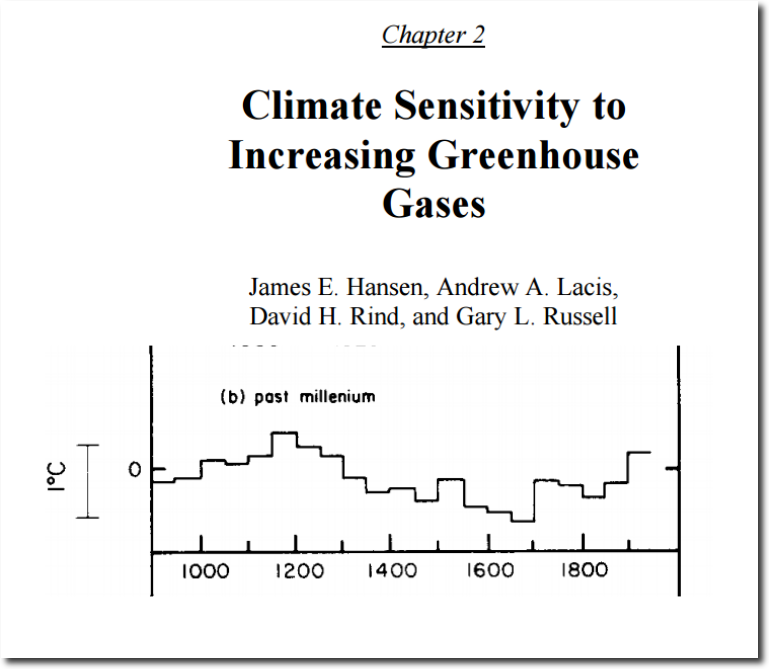 Prior to erasure of the Medieval Warm Period by Michael Mann, NASA’s James Hansen in 1981 showed a Medieval Warm Period and Little Ice Age. 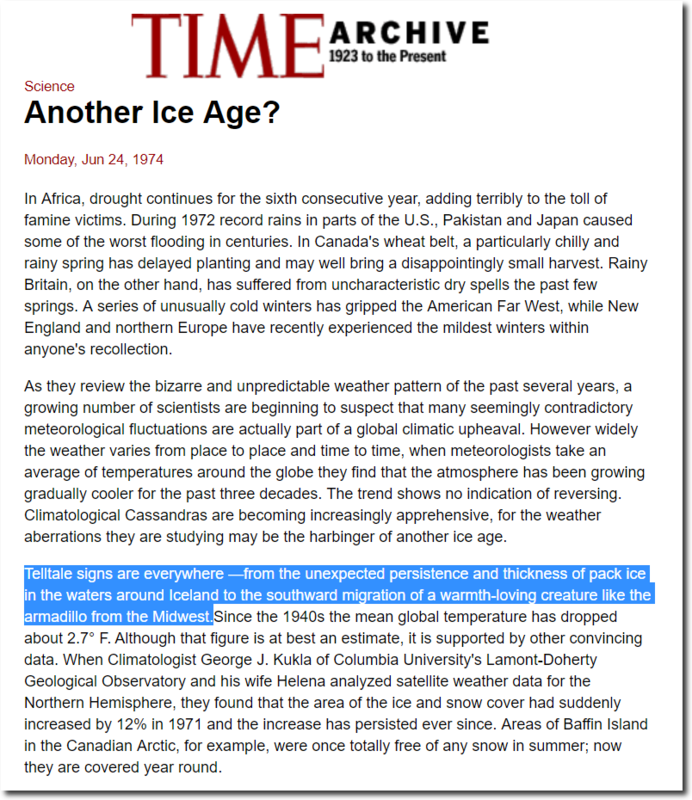 The 1990 IPCC Report showed a Medieval Warm Period and Little Ice Age. 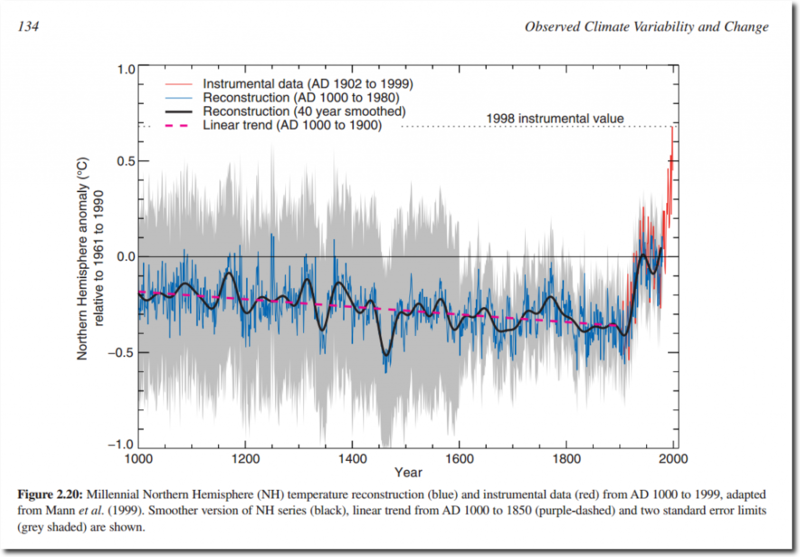 But climate scientists plotted to erase the Medieval Warm Period, and that is exactly what they did. 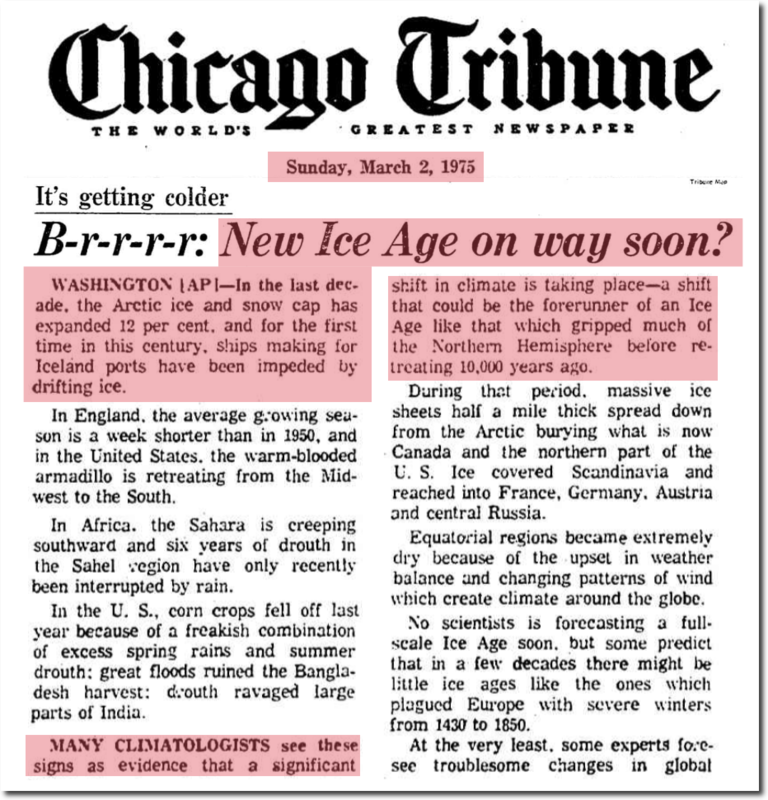 By 2001, the Medieval Warm Period, Little Ice Age, and post-1940 cooling had been officially erased. 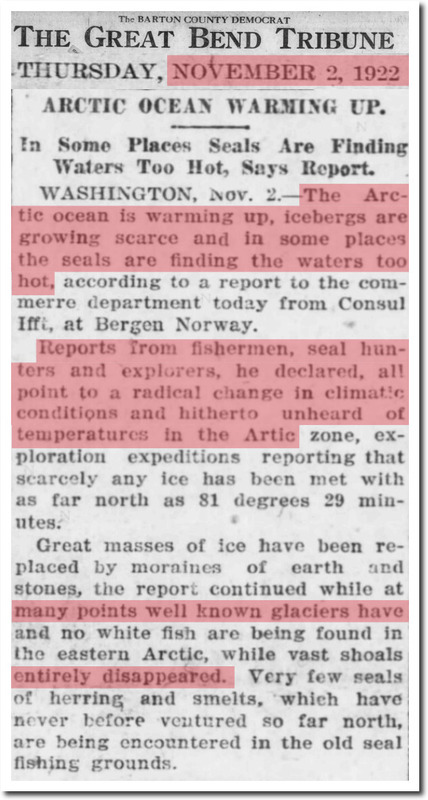 Just as the climate scientists planned to do. 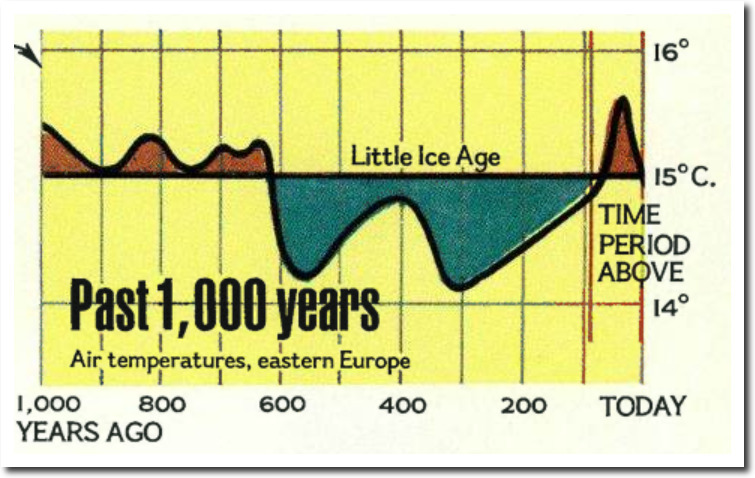 The Medieval Warm Period was well documented history. 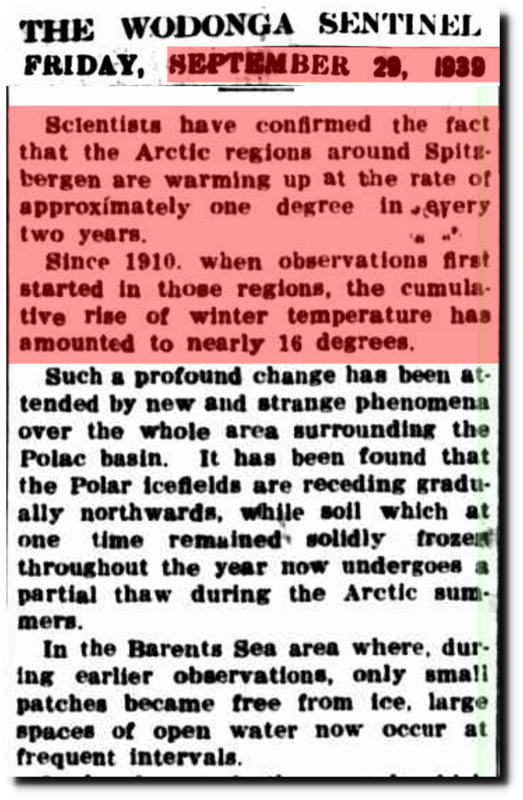 Greenland was much warmer a thousand years ago. 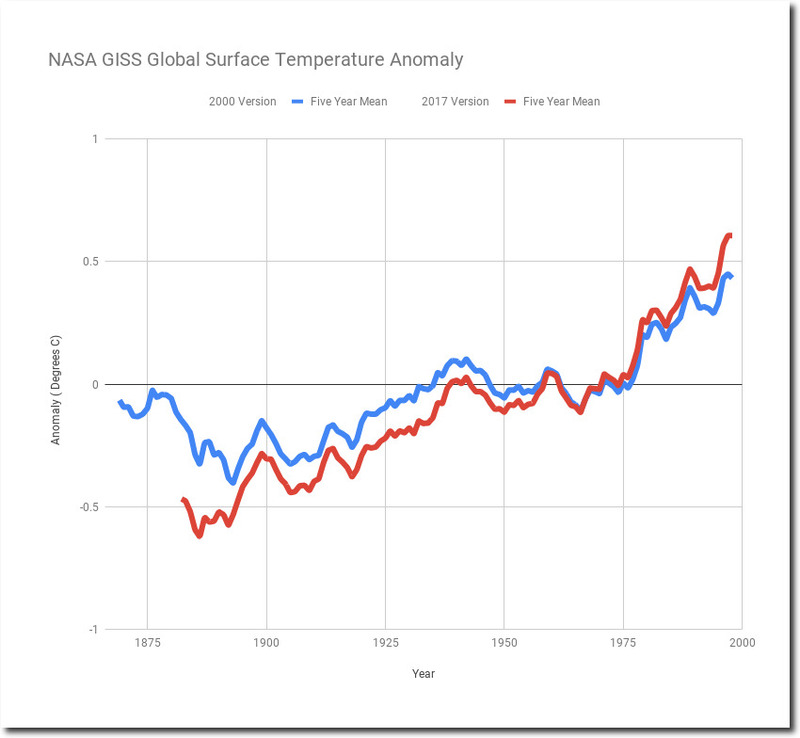 The pattern of climate scientists plotting to erase past warm (and cold periods) is well established, and completely fraudulent. 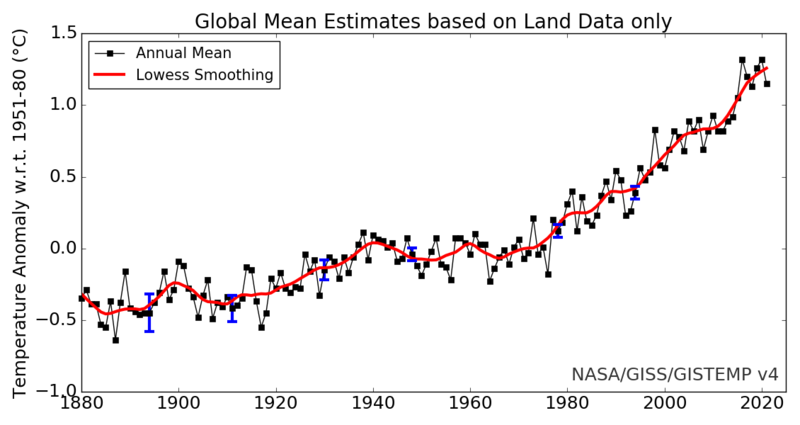 NASA has doubled pre-2000 warming over the past 19 years. And NOAA has turned a long-term US cooling trend into warming. This fraud is being committed blatantly, right in front of everyone’s eyes. 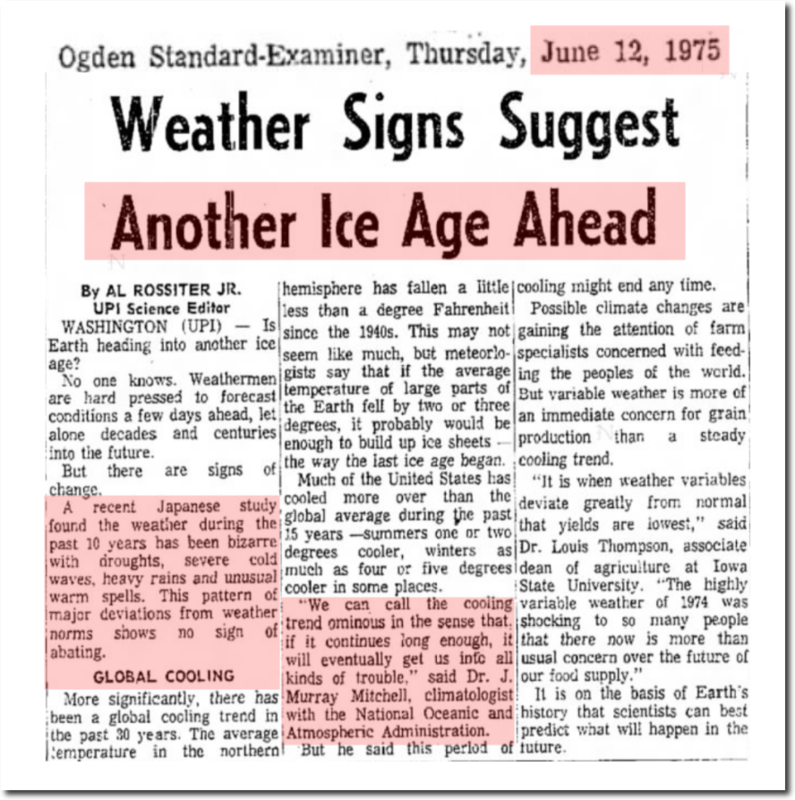 Leftist scumbags were revising history long before they started tampering with weather/climate data. They are past masters at BS revisionism. 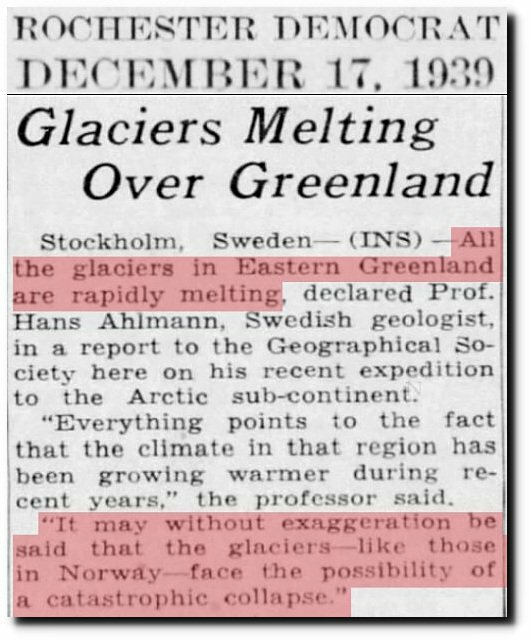 As far as I’m concerned, if your an academic in history or in any field in which you publish on climate, your low life liar until proven otherwise. Without the internet, it would be almost impossible to expose and refute any of this stuff. Hence the tsunami of censorship and de-platforming. Ha! Ha! What a waste of energy! 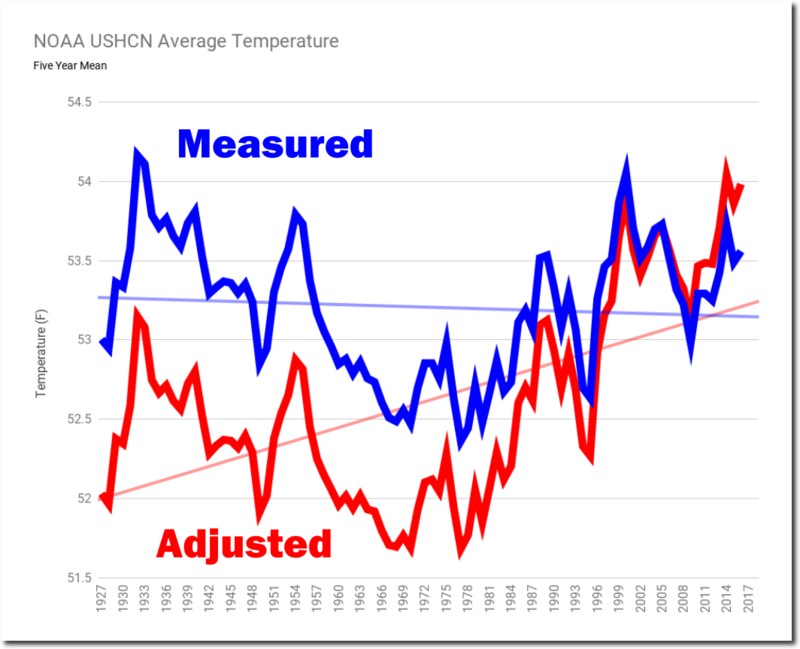 Let’s add the largest TRAIN WRECK in California history to their failed science. Most of this is coming from California’s massive democracy (socialism). It’s about time to make it a country of its own. I doubt that all of the millionaires/billionaires will continue to finance their stupidity and ignorance for very much longer. Evil is not dumb, but goodness can be very gullible, believing that others are just as rational and fairminded as they are. The left knows this, and will never back down. I thank our host again for this fine work, it’s sufficient proof of fraud for me and has been since I started visiting this site. And you didn’t even need to include a Seth Borenstein article!